Used hardware: iPad + Alesis IO dock + Korg MicroX. Nothing sound processing. Sound was recorded on camera built-in microphone. 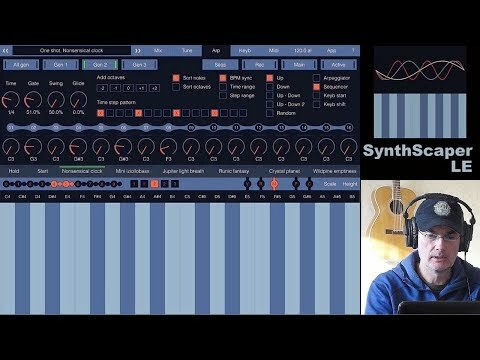 It's demo only for highlights in working with sequencer app. In the future I plan actively use it in my musical projects. Very soon I will publish my new project. At this time it's application for Apple iPad - MIDI Pattern Sequencer. I have long wanted to have a convenient and powerful sequencer on a device with a large touchscreen. iPad is best choice for this. Applications run very quickly and a lot of MIDI adapters there for it. I use Alesis IO dock. But unfortunately I have not found any sequencer application that would suit me. 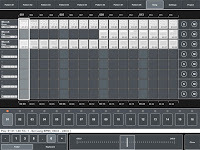 Most of all in iPad music applications I don't like half-baked user interface and a lot of realistic elements which are quite uncomfortable to work and often difficult to operate with it. Also, painted realistic button will never be real. In my application I tried to make sure that these problems was not. 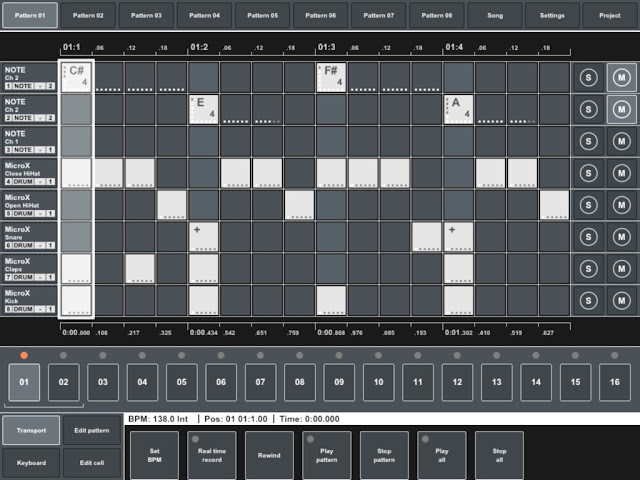 This sequencer I do for myself, and for those who will find it convenient for themselves. I hope that my goal will be close to many. Of course, it will not be a free application. But it's not a business in the sense that I'm doing it only for money. Payments for this application it's support for me and for future development of it. Soon to be published the first version, but I'm not going to stop on it. 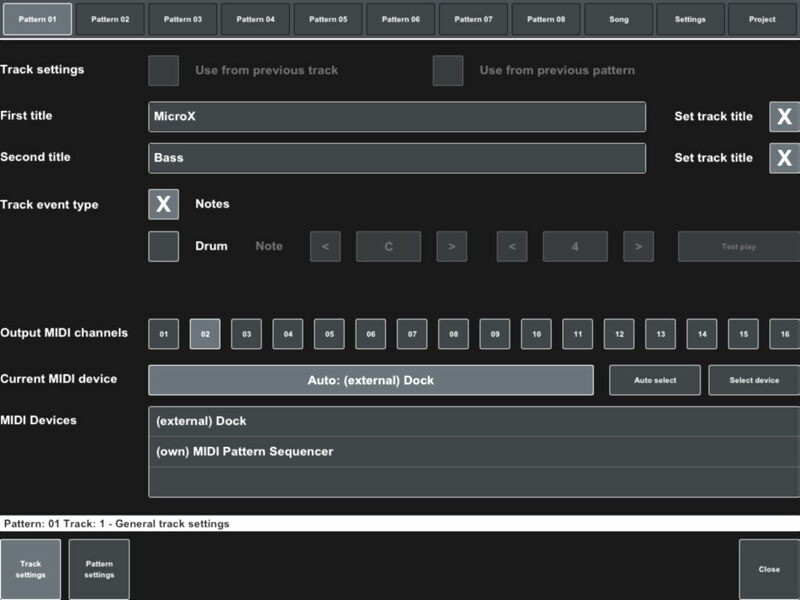 I have a lot of ideas how to make this sequencer even more convenient and more advanced. Recording main radio broadcasts. Source - Tapecorder Sony TC-510-2, destination - OTARI Radar 24. 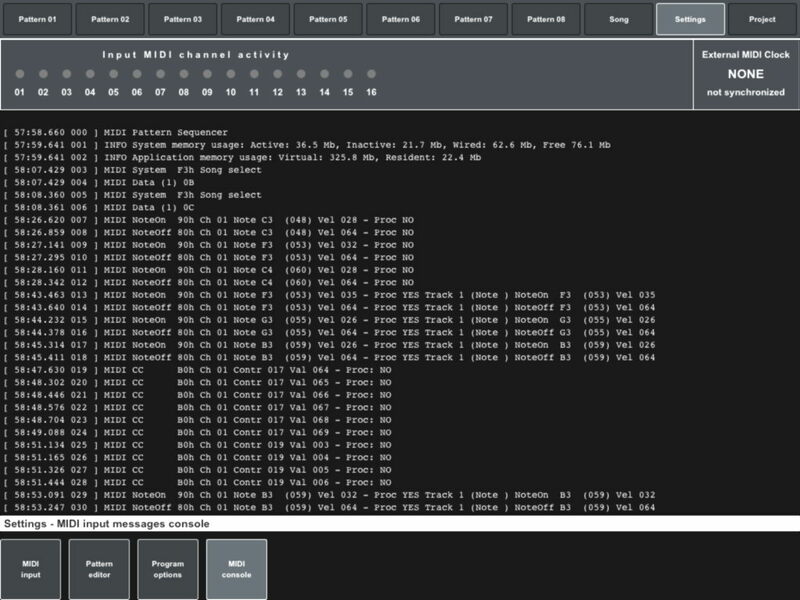 Radio sound preprocessed by Line 6 Pod XT Pro to emphasize loudspeaker/microphone couple. And then tape saturation. Final mixing. 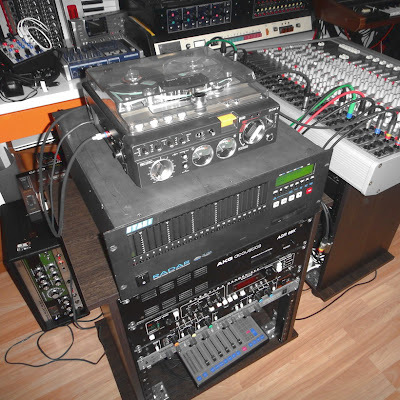 Eight tracks was recorded on OTARI Radar, fourteen for mixing. Mixing console Allen & Heath GS3V. Processing by Eventide Harmonizer, Roland devices, DBX, TC Electonics, Urei, AKG ADR 68K. Sound design. 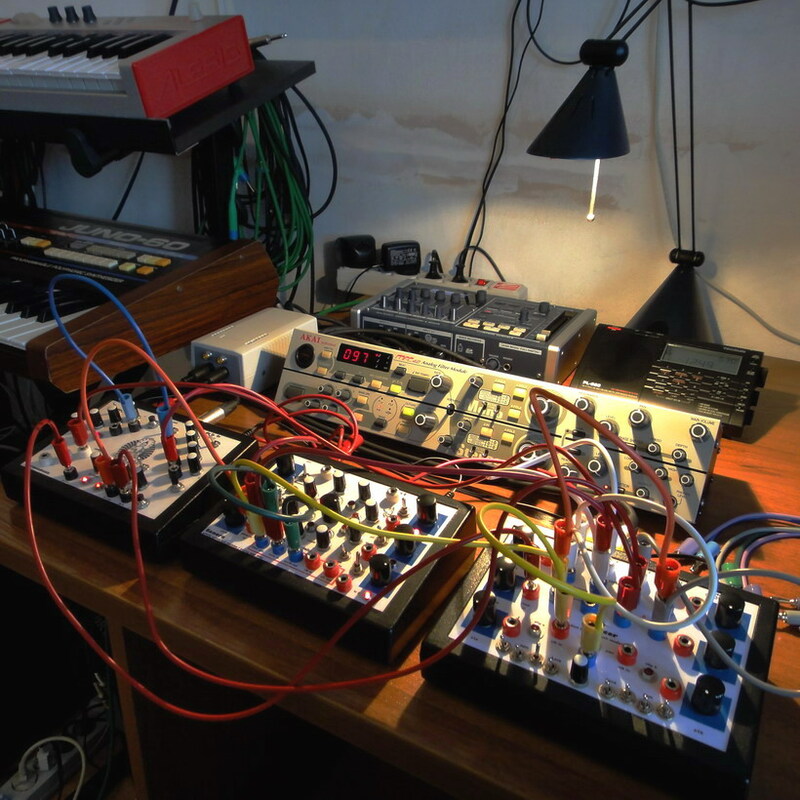 Background hum, drones and feedback effects made by Dmitry Morozov (aka Vtol) devices and Akai MFC filterbank. 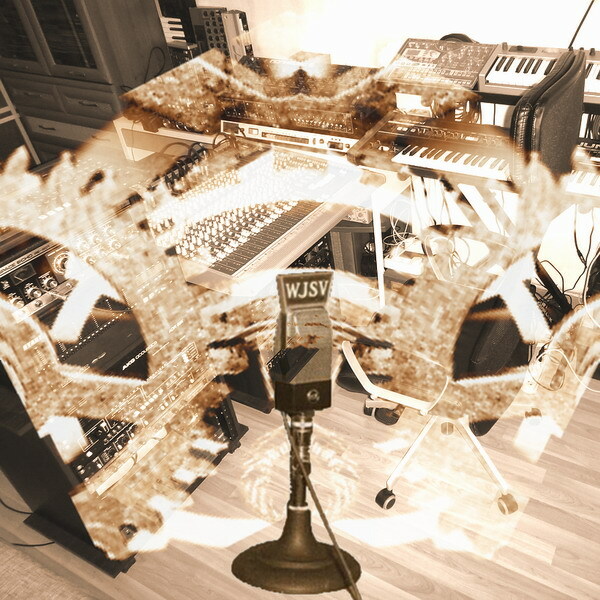 Recorded on Roland V-Studio 100. In recording of this composition were used a lots of variety devices. 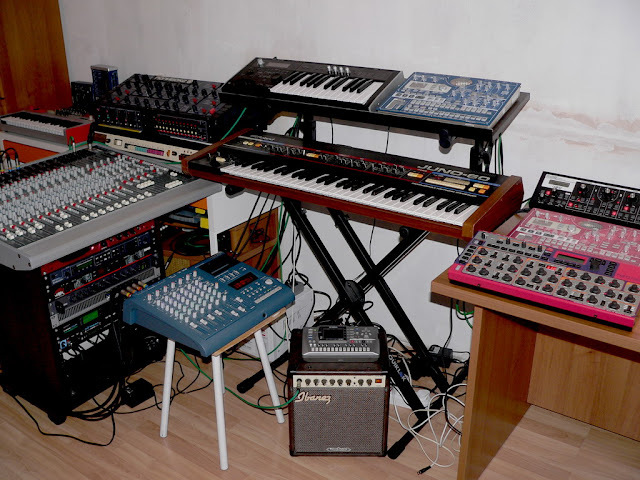 Analog and digital synthesizers Roland, Korg, Alesis, Moog, Clavia, modified Polivoks, DIY sound devices of Dmitry Morozov (aka Vtol), sequencers and samplers Korg Electribe, Yamaha, Roland and even drum machine Hammond Auto-Vari and Moog Etherwave Theremin. Bright chords pad by Roland Juno 60. Next two - different bits sequences mixed with Clavia Nord, Moog Slim Phatty, Alesis Micron. And the last three, it's sound design samples made with DIY devices of Dmitry Morozov (aka Vtol) and final filtered and modulated thru Akai MFC 42. 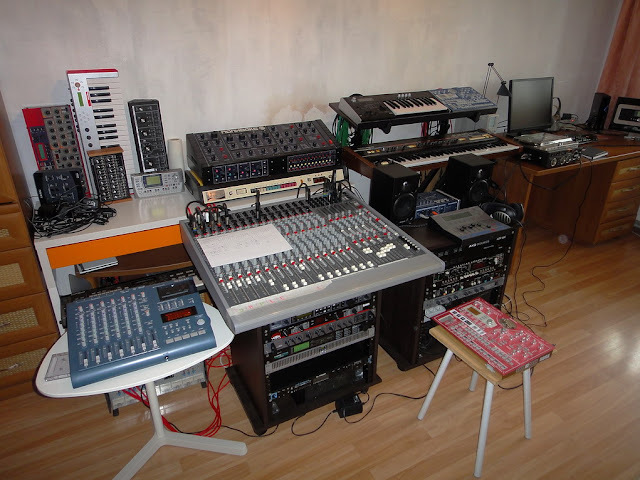 In final recording some of these sounds were recorded directly from devices, others were prepared for samplers. And on mixing stage were passed through sound processing devices like Urei Equalizer, Roland Delay and Echo, Eventide Harmonizer, TC Helicon VoiceWorks, AKG ADR Reverb and TC Electronic Finalizer. This composition it's impression of broadcasts the radio station WJSV (Washington, D.C.) recorded in one day on September 21, 1939. - "Just another day. Just another broadcast day evaporating into the ether, like all the days that came before and all the days that followed. Except for one difference. This one was recorded. In its entirety. On thirty-eight 16" double-sided lacquer discs." This record is preserved entirely up to the present day and fragments of this in chronological order sounds throughout the entire composition. In these fragments can hear everything that sounded on the air - news, announces, advertising, thematic programs and more. Soundscapes of this composition like a time gears link today's day which has lots of different forms of information, with events that happened over seventy years ago. With what could be heard at the time through only one kind of worldwide electronic information stream. - "This is Columbia's station for the nation's capital: WJSV, Washington." 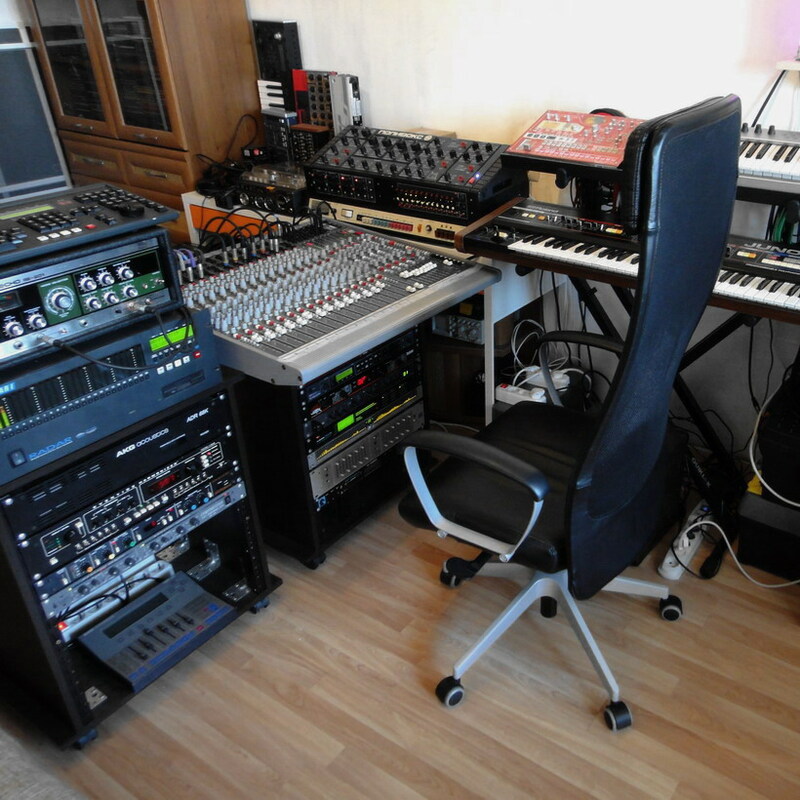 This track was composed and recorded in cooperation with Denis Perevalov. One of Sony's little remembered but excellent professional portable reel to reel tape recorder, sold in Japan under the TC-5550-2 moniker. It also is one of the cutest chunk of audio kit ever designed. This machine featured the hardened Ferri-chrome heads which after many hours of use look brand new. The tape deck is driven by one DC servo controlled motor, and uses a very similar tension system to the Nagra machines. Thanks head design, this machine boast 30-27 kHz frequency response at 19 cm/s (7.1/2 ips), with a wow and flutter of 0.08%. TC-510-2 could either be operated on 8 D-type batteries, Sony's unique battery pack or slot-in power supply. After refurbished and cleaning it uses for recording final tracks. A first some tracks of new album.